Welcome to kurate.it! Before you get started, here are a few of the basics you need to know as you begin using kurate.it. 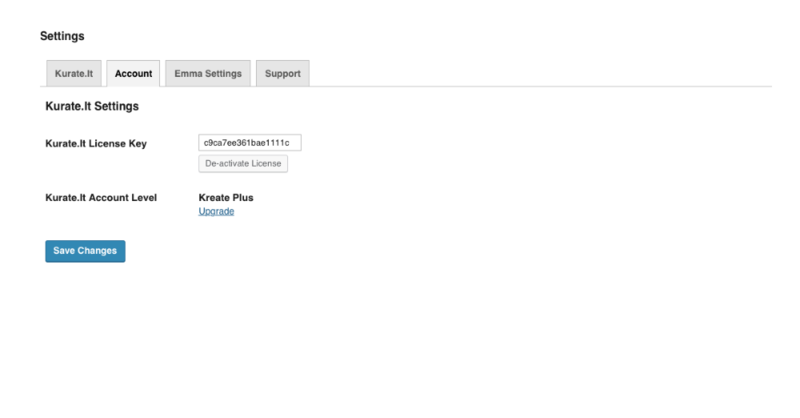 There are three steps to get started using Kurate. 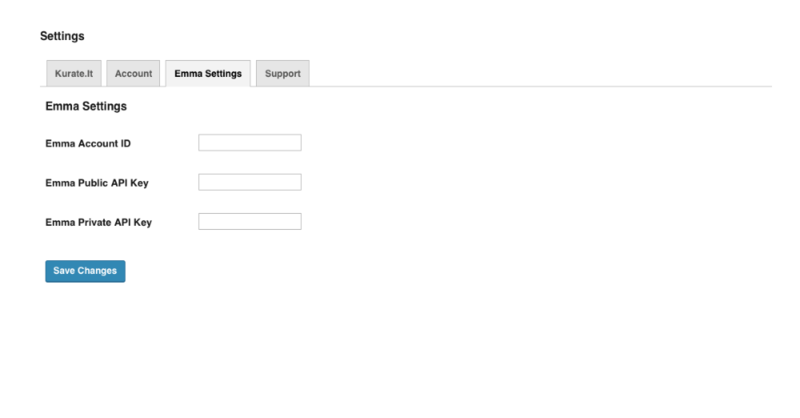 When you login to your dashboard in WordPress, go to the Kurate.it section and click on settings. The general settings tab allows you to setup a notification email recipient in case your emails don't send, gives you the option to disable tracking of the number of emails sent, and launches the email theme editor where you can set the color scheme for your emails. Under the account tab you will input your kurate.it license key that was emailed to you when you signed up for kurate.it. If you have trouble with your license key, drop us a note at support@kurate.it. 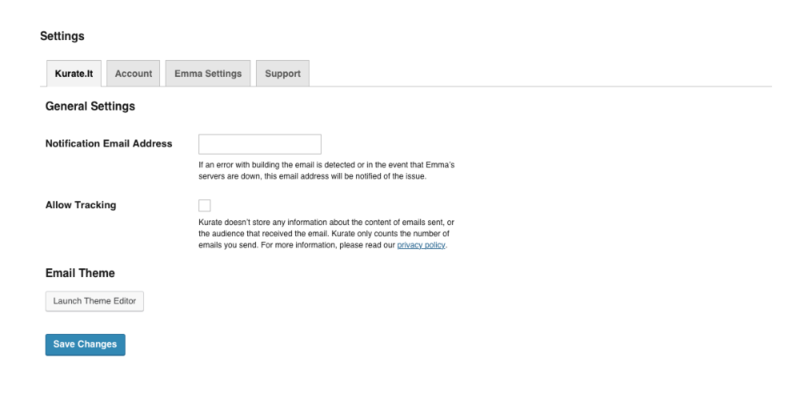 Under the Emma settings tab, you to connect your kurate.it account to Emma. For more detailed instructions on where to find your Emma Account ID and API Keys, click here. Congratulations! Your Emma and WordPress account should now be connected. You are now ready to configure your streams.